It’s Flavrbox time again and the June Box* is quite exotic! 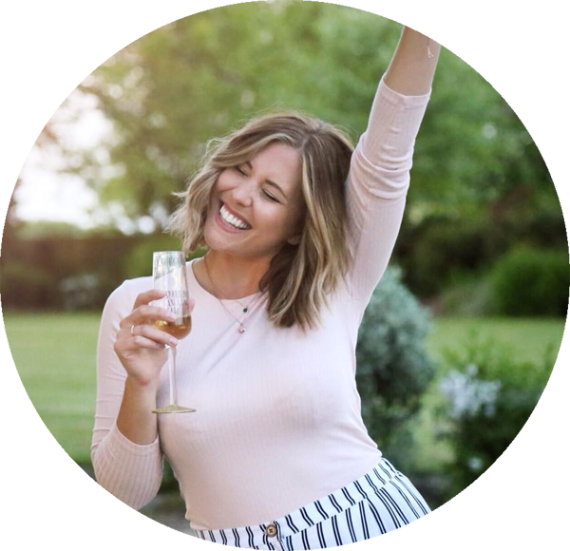 For those who don’t know, Flavrbox are a food subscription box that deliver full sized gourmet treats from across the UK every month right to your door for you to taste. Here at xameliax HQ (aka my bedroom) we look forward to them every single month and June’s box has been no exception! Date & Almond Wedge by De Juan – I thought this was cheese at first and i got really excited but it’s not, it’s a date and almond wedge which coincidentally does still go very well on your cheeseboard! It’s an interesting invention and i actually really enjoyed it with a bit of mature cheddar and crackers as an after dinner snack – it’s (as you would expect) very nutty and fruity which goes very well with a good brie! I would definitely consider looking out for something like this again for any winter dinner parties. Pistachio Cocoa Turkish Delight also by Arabica – Love love love this stuff! It tastes like a super soft nougat and i nearly demolished the whole bag in one go! I adore pistachios and this is rolled in loads of them with a coconutty sweet chewy centre – and they’re vegan friendly too, the perfect after dinner treat with a coffee. Wild Sumac by Arabica – This is an interesting fruity little spice that apparently goes great with lamb. It smells incredible but I haven’t actually had a chance to try it out just yet. Always love these kinds of jars as they make wonderful go-to cupboard staples when you want to jazz up a piece of meat for dinner. Ali Oli Garlic Mayonnaise by Dellicioso – I can’t believe it’s taken me so long to get a jar of Ali Oli in my life! Joe and i lived off this stuff in Greece and were gutted when we couldn’t get it at home. It’s like a garlic mayonnaise with a more authentic taste than your standard Hellman’s squeezy jar. Fantastic for serving with cut dried meats or on a fresh summer salad and also very effective at keeping vampires at bay. Fire Crackers by Captain Tiptoes – I’ve seriously saved the best product till last this month, these crackers are absolutely incredible. Similar to a snack found in my old Graze box deliveries but a giant bag of them i couldn’t put them down! They’re nobbly, crunchy, sweet and firey that are a match made in a heaven with a cold beer out in the garden. I love these and i will be ordering an entire shipment of them for the summer months. They also have a giant mustache on the packaging, sold. 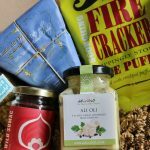 You can sign up for the next Flavrbox delivery on their website HERE for just £18 +p&p! Did you receive June’s box? What was your favourite item?